Westcoast Painting and its employees have been active supporters of our local community and giving back to organizations and programs across the state of Washington. As a diversified company, a percentage of our work is driven by the community and local programs. Westcoast Painting has worked on several projects involving organizations such as: King County Housing Authority, Seattle Housing Authority, Tacoma Housing Authority, Work Source, Habitat for Humanity, Ruth Dykeman's Children's Center, Rebuilding Together, and other community redevelopment organizations. Since a good portion of our business is dedicated to this type of work, we feel obligated and consider it a privilege to be in a position to help the community when we can. We also strive to help associations that make our community a better place to live. Giving back is something Westcoast Painting always has and will do. As a recognized leader in the painting industry, Dave Jones, Owner of Westcoast Painting has spent his career giving back to the industry. "I've learned so much over the years, so many people have taught me along the way. I feel it's my duty to share the things I've been taught by others and learned through my own experiences". Following the devastating Oso Landslide tragedy in March, 2014, the American Red Cross and other organizations stepped in and set up a family assistance and grieving center for the victims and families who suffered from the landslide. Westcoast Painting and Sherwin Williams donated paint and manpower to repaint the warehouse facility where the grieving center was set up. 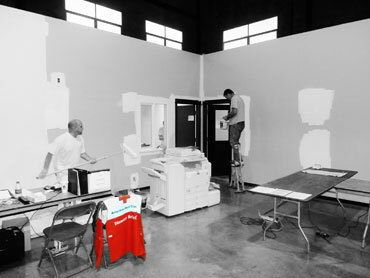 Several Westcoast painting employees volunteered their time and helped paint the facility for the grieving families'. Dave has spent countless years serving and volunteering his time, talents and knowledge to the Painting & Decorating Contractors of America "PDCA". Dave's time serving in leadership within PDCA has included serving at various capacities within the local, state, and nationallevels of PDCA. 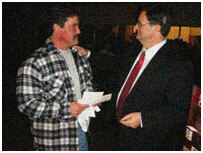 In 2009, Dave was elected to be the National Chairman of PDCA. Throughout Dave's 40 plus years in the painting industry he has mentored, coached, influenced and helped countless people in the painting business worldwide. We value, so very much, the working relationships we have established within our community. We recognize the important roles that small businesses have within each community and as a business we will always do our best to support and improve our local communities.